We have often heard the saying “one man’s junk is another man’s treasure”. Recently my boys and I experienced the good version of this statement. Have you ever heard of gleaning? Its the process of going into a field to gather up sections of crops the machines could not in a field. Last week after driving by a sweet pea field I noticed lots of green sections untouched. These green sections still had visible peas on the plants. We could see them from the road! The sections were left surrounded by 2-3 foot deep ruts and lots of mud. 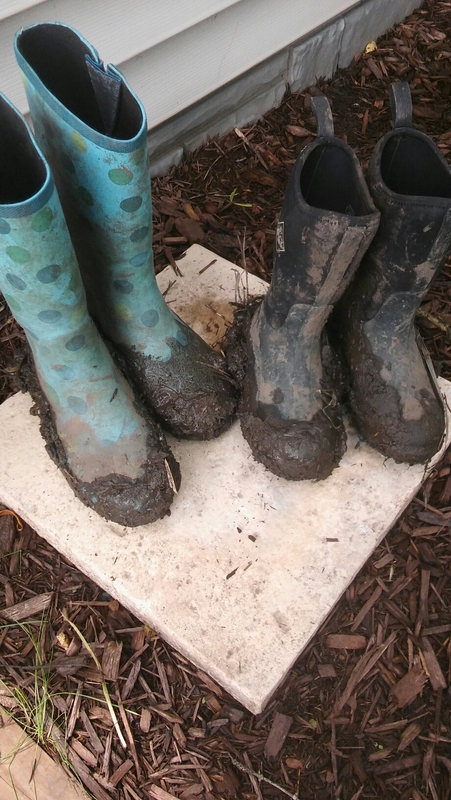 We have had a lot of rain lately. After a quick stop by the owners home and an additional phone call and I was given permission to glean as much as I wanted with whom ever! How generous is that!!! Tractor Man gleaning his peas. The missed sections were several feet wide So I called a friend. Its more fun to pick with someone, the time and work are much more fun. The first day we picked for about two hours and here is what I came home with. My friend filled a bushel basket as well. So like any good homesteading wife would do, we decided a second day of picking was a good idea. We invited a few more friends as well. A total of five household’s picked and we only got one small corner of the field. 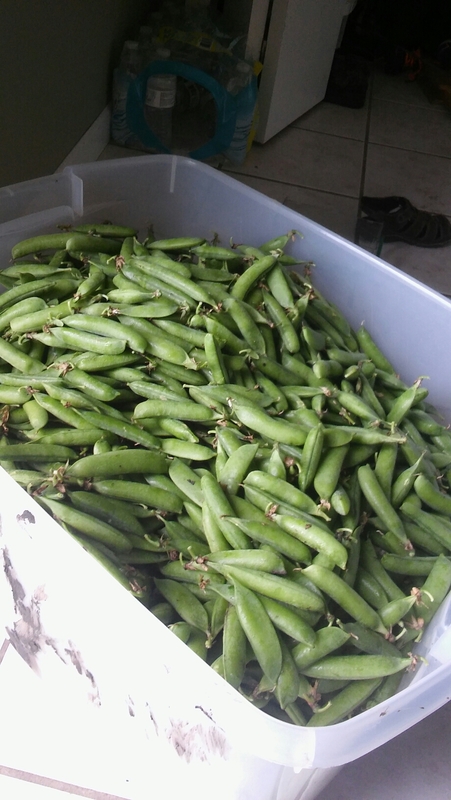 I managed to fill two totes of sweet peas. 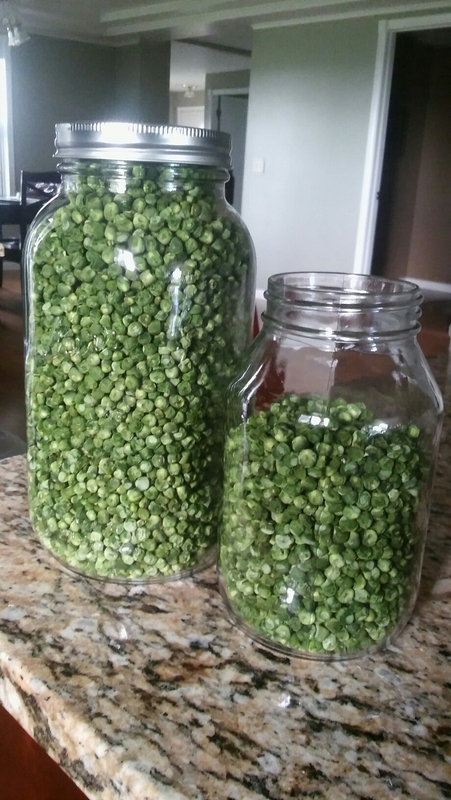 The bulk of out peas I opted to dehydrate. Can you believe this is what you get from roughly four bowls of peas this size?!?! Talk about a space saver! The dehydrated peas will be used in all of my soups and pot pies. I also had enough to blanch and freeze some for my family. There was enough left over to give some to my sister in law, father in law, mother and my two sisters. For my first experience gleaning I have to admit I love it. I’m thankful for those farmers that are willing to let others come on their property to glean. 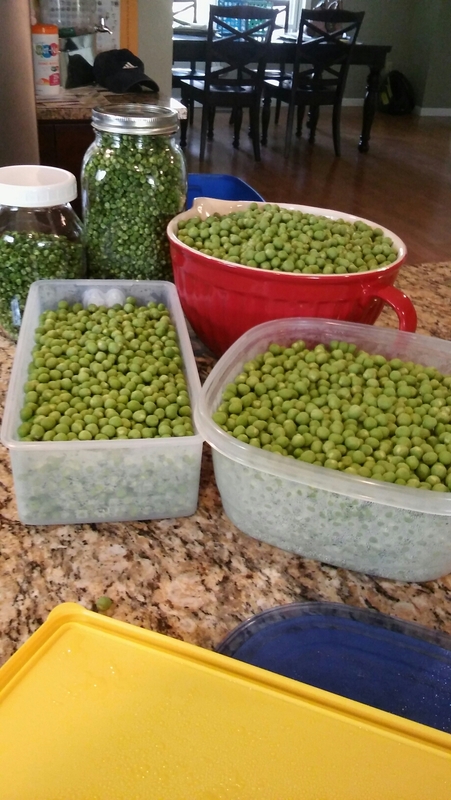 My freezer and pantry pea requirements are completethis season. Thanks to my neighboring farmer for the opportunity to glean. 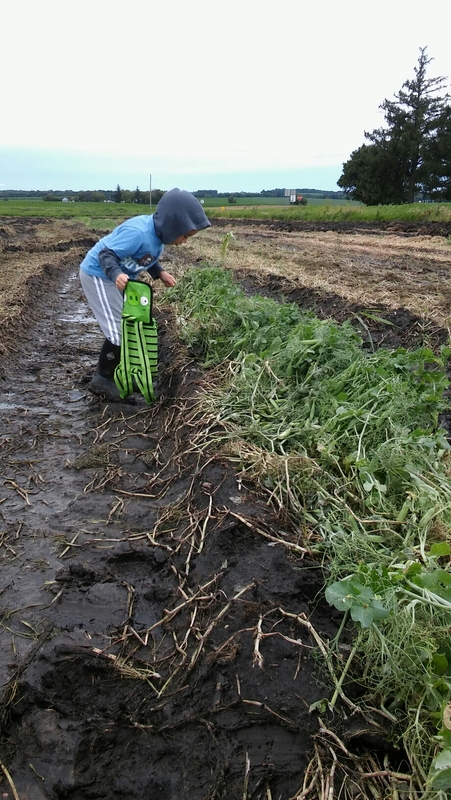 Have you tried gleaning? How did your experience go? 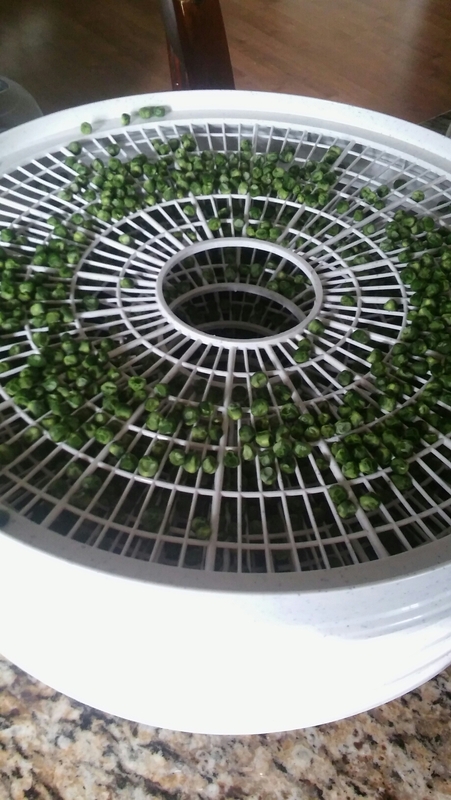 dehydrating peas, free food, freezing peas, friendly farmer, generous farmer, gleaning, gleaning peas, teaching children to glean. You’re so lucky! That’s awesome that you came across the field and the farmer allowed you to do that. I’ve been wanting to help out an organization in my area that gleans food for needy families and soup kitchens. I thought the same thing! I think next year I will ask and see if we have anyone in town that will take them as well.